This summer was supposed to be the first real test for the mainstream viability of the 3D format in cinema. While the format had been a fringe indulgence for horror films and animated movies, it obviously became a full-on sensation following the release of Avatar in December, 2009. 2010 saw a handful of high-profile 3D conversions, as studios hastily converted some of their big-budget tentpoles (Clash of the Titans, The Last Airbender, Chronicles of Narnia: Voyage of the Dawn Treader) and/or low-budget cult pictures (Piranha 3D, My Soul to Take) into the format under the delusion that Avatar made $2.7 billion worldwide only because it was in 3D. But this was the supposed to be the sink-or-swim year for the 3D film. Was it merely a passing fad, or was it here to stay? The answer is, alas, more complicated. First and foremost, as long as studios can spend $5-$10 million to convert a film to 3D and then charge an extra 33% or so per ticket, 3D isn't going away. So while 3D was not the answer to studios' prayers domestically, it took the industry by storm in overseas markets, which mattered all the more this year, the first summer on record where domestic box office was all-but beside the point. And of course, the embrace of 3D was always about more than just that $3-$5 up-charge. It was about countering overseas piracy, and on that front, it was a HUGE success. But when you look at the films that scored in 3D and the films that flopped in 3D, you notice something that should have been obvious. The films that hit were always going to be big hits, while the 3D flops never stood a chance in any dimension. These are called teasers for a reason, so it can be forgiven that this first look at the upcoming Hunger Games is a bit sparse. Anyway, this won't tell newbies all that much about the narrative, but it does introduce the setting and Jennifer Lawrence as Katniss Everdeen. 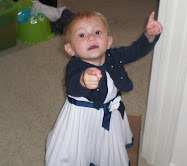 Not much to judge with, so I'll refrain from offering too much commentary. 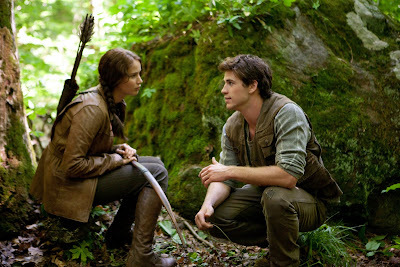 Lionsgate puts this one out on March 23rd, 2012. As always, we'll see. Weekend Box Office (08/28/11): Summer 2011 ends with a Hurricane, kneecapping three new releases (Colombiana. Don't Be Afraid of the Dark, Our Idiot Brother) and all holdovers. It's a tough thing to accurately gauge how well a movie would have done if not for an unforeseen variable, such as in this case a massive hurricane that threatened much of the East Coast of the country and shut down hundreds of movie theaters over the weekend. As such, it feels a little unfair to pick on movies that didn't open all-that well, since who is to say how they would have performed under normal conditions. So, for the sake of not kicking people while they are down, this summary will be focused on the positive developments over the weekend. While it was not number one this weekend, Sony's EuroCorp pick-up Colombiana opened with $10.3 million for a solid second place. The Luc Besson-produced vehicle would likely have opened between $12-$15 million without the storm issues. But even that smaller number is worth noting. Point being, the film confirms the genuine bank-ability of Zoe Saldana, who co-starred in Avatar and Star Trek in 2009 and had supporting roles in The Losers, Takers, and Death at a Funeral in 2010. Saldana's face was pretty much the entire poster, and the marketing campaign centered entirely around her. This is among the larger opening weekends that I can recall for a female-led pure action picture (as opposed to sci-fi/horror) that isn't based on a comic book or a video game. Even with the diminished numbers, this is still a larger opening weekend than the far-more high profile Conan the Barbarian, Fright Night, and One Day from last weekend. Point being, there is indeed a market for action pictures starring minorities and/or women. Maybe the market isn't big enough to support $100 million+ productions, but as long as the budget is reasonable (in this case, $40 million), we damn-sure should be seeing more of this kind of thing. The film earned an A- from Cinemascore and played 65% over-25 and 57% female. And yes, it's pretty darn fun and well-crafted, even if the narrative is contrived and the film guts itself for that PG-13. We'll see if my schedule allows me to do a comprehensive 'end of summer' box office wrap-up, but since summer 2011 doesn't officially end until next weekend, I figure I've got time. For now, here is my annual rundown of the various scenes, performances, moments, and miscues that defined the summer just past. Because sometimes, discussing the 'parts' is more fun than discussing the 'whole'. I'll try to avoid divulging plot twists and the like, but consider this a SPOILER WARNING. 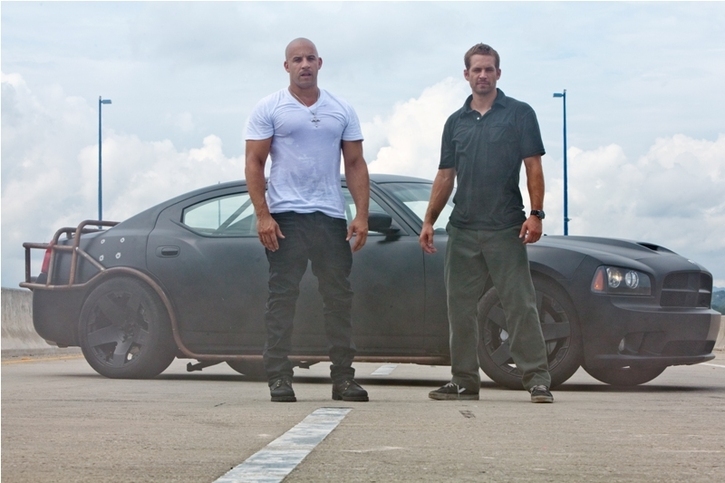 Best Fake-Out: Vin Deisel sacrifices himself for the team at the finale of Fast Five. Even if you feel silly admitting that you cared about the characters in this fifth and inexplicably terrific entry in the eleven-year long racing action franchise, you cannot deny that the characters cared about each other. What made the movie pop was the genuine sense of camaraderie and bonding that existed between our main characters, which is one of the benefits of being the fifth film in a long running franchise. So when Deisel's Dominic Toretto separates himself from the pack during the final chase scene, apparently intent on sacrificing himself to give the rest of his friends (including his pregnant sister Mia and her boyfriend Brian) a chance at freedom and riches, I bought it. 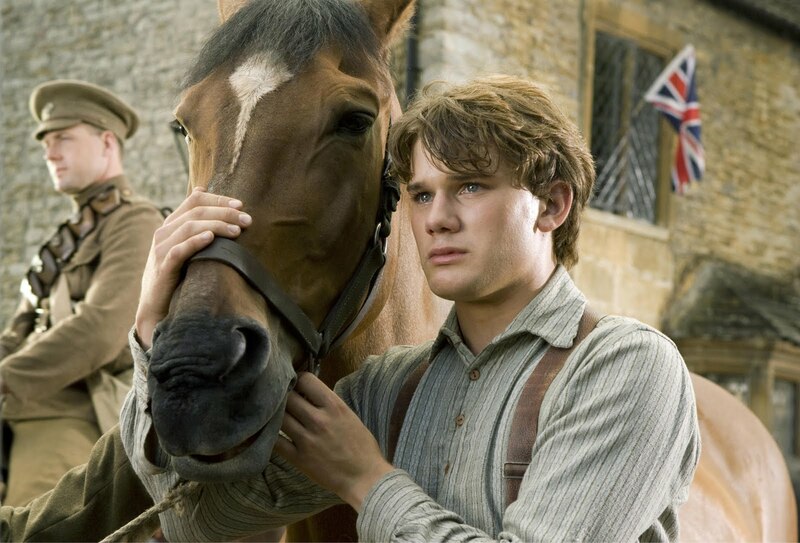 The film had built up a genuine 'series finale' vibe, and it seemed completely appropriate that the franchise would end with Dom, the series's most prominent character, giving his life so that his sister's unborn child wouldn't have to grow up without a father. When Toretto miraculously survived his one-man cannon-ball run, I rolled my eyes a bit. It wasn't until a week later that I remembered that this fifth film actually took place BEFORE the third film in the series (Tokyo Drift), at the end of which Vin Deisel made a cameo appearance. Point being, Dominic Toretto was never in danger. But the film was so unexpectedly compelling and exciting that I completely forgot what I already knew going in. After a detour into 'new director' and 'new star' prequel land, it appears that the Underworld series is returning to its.. uh... roots? Anyway, Kate Beckensale and director Len Wiseman are back, for those of you who care about such things. I will say that I saw this trailer before Fright Night and the 3D work was pretty solid, and the images were suitably brightened up so you could actually see what was going on (unlike Fright Night, which was like watching a VHS copy-of-a-copy taped off of an antenna-feed UHF airing). The film also looks like it has been shot with the brightest blue filter ever created for cinema. I had not seen any of the Underworld films until just a couple months ago. How bad is the first Underworld? Well, not only is it an insanely long 134 minutes, it was so dull and uninspired that I have thus far resisted my OCD-completest urge to rent the rest of the franchise. It's hard, strolling through Blockbuster with my mail-order DVD/Blu Ray rental... with the other two films in the franchise just sitting there on the shelf. I have thus far resisted, and hopefully I can stay strong. 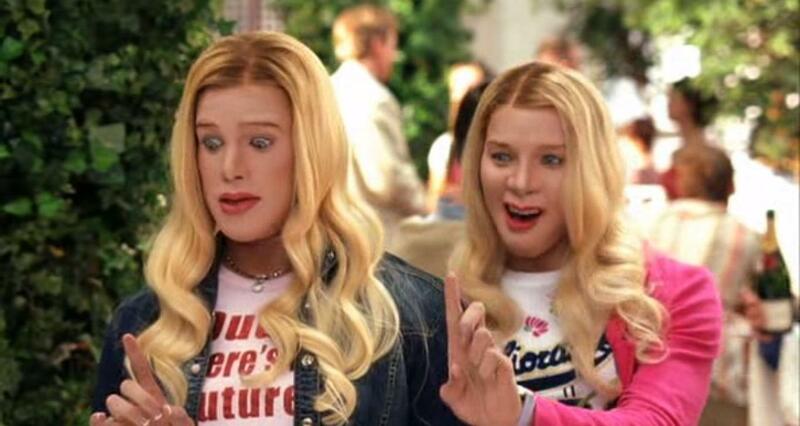 If you've seen any of the sequels, are they worse than the original? Anyway, this one comes out January 20th, 2012. As always, we'll see. Well, you're see. I certainly will not see. 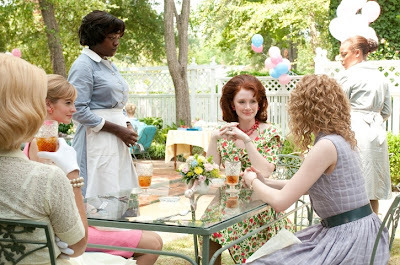 Weekend Box Office (08/21/11): The Help tops in second weekend, crushes four new releases. Summer of 3D ends with three 3D flops. As expected, the summer reached its climax this weekend with an ugly pileup, as four new releases failed to achieve anything resembling success, with three of those releases being in 3D and two of them chasing the exact same demographics. Why oh why did Lionsgate and Disney open Conan the Barbarian and Fright Night on the same weekend?. 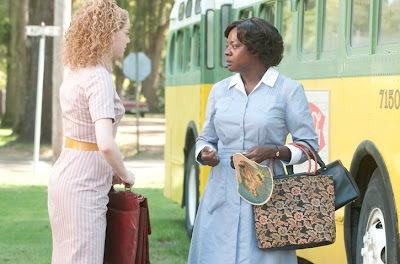 With the new releases eating each other alive, The Help snuck into the number one slot during its second weekend. 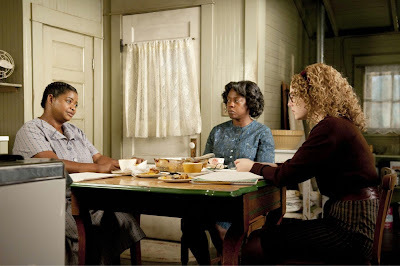 Dropping just 21% compared to the Fri-Sun portion of its opening weekend, The Help earned $20.4 million and now sits with a twelve-day total of $71.8 million. This is the very definition of an old-fashioned leggy hit, but in today's front-loaded marketplace, it almost qualifies as a sensation. $100 million is guaranteed at this point, the question now merely remains how far over/under $150 million it ends up and/or how much the film will factor in the year-end awards races. Viola Davis is a lock for an Oscar nomination (but will her lead performance get placed in the leading or supporting category) and the film is in a pretty good place for a Best Picture nomination. It would be a lock under the old 10-nominees system, and said two-year experiment was dismantled partially out of the desire to keep such 'popular entertainments' (IE - well-reviewed films that mainstream audiences actually enjoyed... horrors!) out of the field. Trailer: Daniel Radcliffe's The Woman In Black teases old-school gothic horror and period-piece ghostly menace. Yes, please. This frankly looks fantastic. First of all, Daniel Radcliffe genuinely looks like a young adult, which is of paramount necessity to selling this one. But, most importantly, this looks like a slice of genre heaven. The atmosphere feels real, the production looks stark and foreboding, and the use of a young girl to narrate the sinister poem sounds just right. Kudos to CBS Films for apparently leaving much to the imagination, as the film offers plenty of creepy imagery while leaving the general narrative and presumably most of the big shocks unspoiled. This one comes out on February 3rd of 2012. As always, we'll see, but I'm pretty sure this one will be worth the babysitter (be it for a press screening or opening night). There is nothing particularly wrong with The Ward, there is just little about it to stand out amongst the sea of similar genre entries, to say nothing of the whole slew of direct-to-DVD films that fill the shelves of Blockbuster and the queue of Netflix any given day. That this film was given a token theatrical release just last month is only because it happens to be helmed by one of the more respected horror filmmakers of the 1970s and 1980s. But the era of John Carpenter is long over. While I can tell you that the film looks more polished and more overtly cinematic that it likely would have if directed by someone less esteemed, the picture remains a relative non-entity. It's not bad so much as it's not very good in any notable way. Weekend Box Office (08-14-11): Rise of the Planet of the Apes tops again, The Help sizzles, Final Destination 5, 30 Minutes or Less, and Glee Live! underwhelm. It's a little sad when a drop of just under 50% is considered leggy, but here we are. 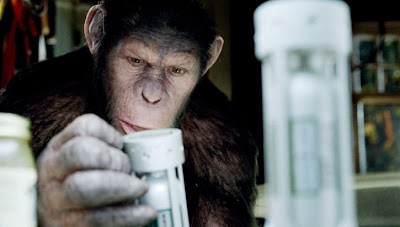 Rise of the Planet of the Apes dropped 'just' 49% in its second weekend, which was strong enough to once again claim the top spot at the box office. The well-received franchise reboot earned $27.8 million in weekend two, for a ten-day total of $105 million. The number puts it well-ahead of movies that opened with similar numbers in summers past, such as I, Robot ($95 million after ten days), X-Men ($99 million), X-Men: First Class ($98 million), GI Joe: The Rise of Cobra ($98 million), and The Incredible Hulk ($97 million). 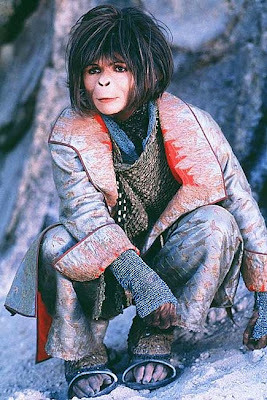 It is comparatively down from Tim Burton's still-lousy (just watched it again this weekend) Planet of the Apes, which opened with $69 million back in 2001 and ended its tenth day with $123 million. However, this much-better received and much cheaper variation is falling at a smaller rate, so it has a chance of catching up to the $180 million earned by the Burton re-imagining ten years ago. The film is doing the usual Fox magic overseas as well, as it has $179.6 million worldwide, which makes this a HUGE win for the $93 million production. Review: Final Destination 5 (3D) - The series is still a cheap burger, but this entree is seasoned just right. Look, the Final Destination series is arguably the Mad-Libs of modern day studio filmmaking. More-so than any other franchise in recent history, the ongoing 'Death Strikes Soon!' saga is basically a fill-in-the-blank template with few real deviations from the formula. If you haven't liked any of the sequels, you won't like this one either. It is too much to hope for that the series will return to the genuine quality that started it back in 2000. The first Final Destination was a real movie. It was a moving, somber, and character-driven horror fable that dealt in real terms with grief, loss, predestination, and the often arbitrary nature of death itself. The sequels that followed have been, to varying degrees, gore cartoons whereby a bunch of pretty people survive an over-to-top tragedy and then get picked off one by one in various Rube-Goldberg-esque fashions. The last film didn't even bother to try to be a real movie, and it failed to even deliver on the the blood-splattering 'money shots' that would have justified its existence. This new entry is a marked improvement and it may even be the best sequel in the series (give or take your admiration for Final Destination 2). It is indeed the same old meal you've been eating for eleven years, with mostly the same ingredients. But it's prepared better this time around, with just enough new spices and marinade to make it tastier. Trailer: A Very Harold and Kumar Christmas works to restore the luster of a franchise after the truly awful first sequel. Because they are NOT gay! 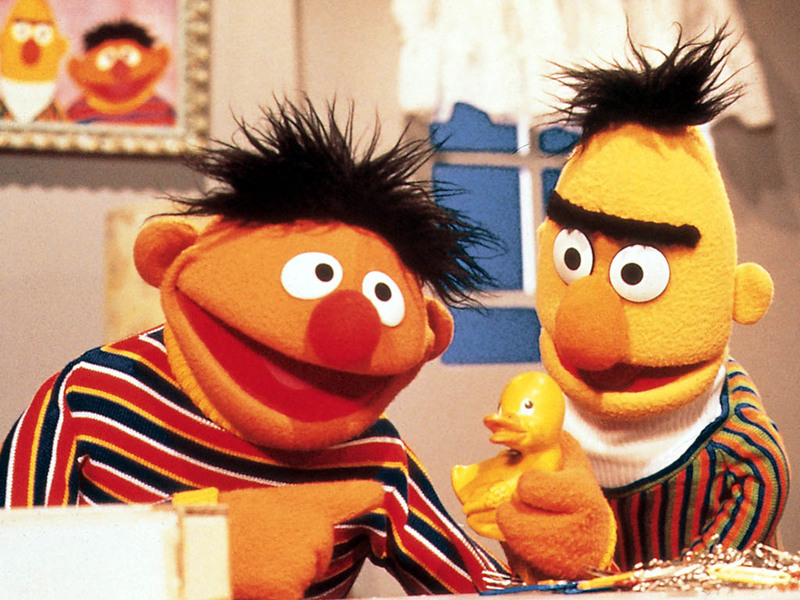 Why 'forcing' Bert and Ernie to get married would be a terrible blow for gay rights, and what it teaches us about homophobia. There is at least one petition out right now with 5,000 signatures requesting that Sesame Street puppets Bert and Ernie get married. You've probably read about it and maybe it seems like harmless amusement from people whose heart is in the right place in the realm of gay-marriage rights. There is just one problem. Bert and Ernie are not gay. The producers of Sesame Street has said as much. Since Bert and Ernie are fictional characters, said producers are the final word on such a subject. Want to know how I know Dumbledore is gay, even though not one reference to his sexuality is made during all seven Harry Potter books? Because JK Rowling told me as much. She created the character and if she says he's gay, then he's gay. And if the producers of Sesame Street say that Bert and Ernie are merely platonic friends living asexually in the same apartment, then one must accept them at their word. Bert and Ernie are not gay, therefore there is little-to-no chance that they are in the kind of romantic relationship that brings about marriage, thus they should not be getting married. One step forward, two steps back: Why the feminism and liberalism of Dirty Dancing would be 'daring' in today's marketplace. Will the remake be as relevant? Lionsgate announced plans yesterday to indeed remake Dirty Dancing. With pretty much every beloved 80s film going under the remake knife, it was only a matter of time before the adventures of Johnny and Baby got the revamp treatment. So while I could use this space to rant and rave about remakes in general, and about how the original Dirty Dancing, by virtue of being a period piece with few special effects, has not aged one bit since 1987. But the film is among the crown jewels in Lionsgate's library, as they've put out Blu Ray/DVD reissues twice in just the last four years (to be fair, those special editions are among the most feature-packed of any catalog title this side of Blade Runner). And there are only so many ways you can milk the same cow, so the House That Jigsaw Built has now seen fit to merely remake the damn thing and hope they don't suffer a similar fate as those behind Dirty Dancing: Havana Nights. But there are a few things worth considering, things that both shine a light on the fallacy of the current remake-mania and shine a much grimmer light on how our popular cinema has regressed when it comes to dealing with social issues. Harry Potter and the Deathly Hallows part II is officially the top-grosser of 2011! 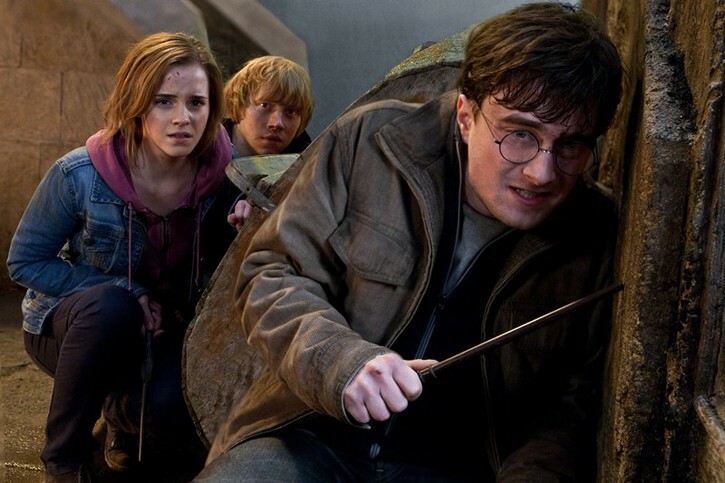 As of yesterday, Harry Potter and the Deathly Hallows part II is the highest-grossing film of 2011, both worldwide and domestically. On the domestic front, it surpass Transformers: Dark of the Moon and now sits at $344 million in just over a month of national release. On the worldwide front, the Harry Potter series finale is now the highest-grossing film of all-time not directed by James Cameron. 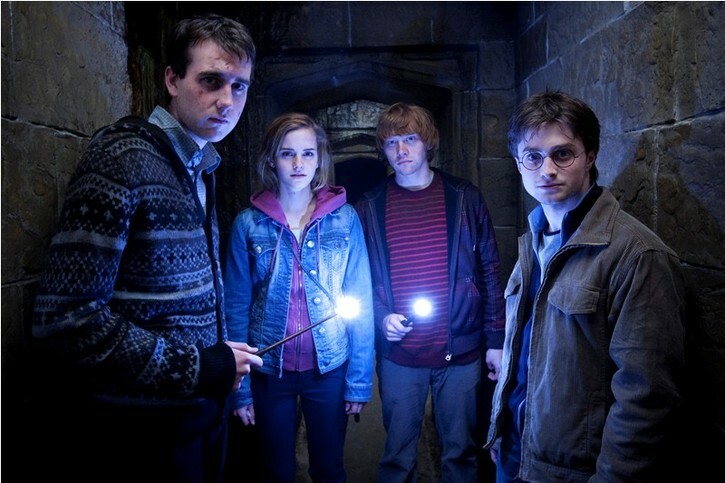 Second only to Titanic ($1.8 billion) and Avatar ($2.7 billion), the eighth and final Harry Potter adventure now sits at $1.13 billion, surpassing the $1.119 billion gross of The Lord of the Rings: Return of the King. Yes, we can discuss the 3D bump and the inflation argument, but Frodo's big record (the biggest-grossing film not helmed by James Cameron) has held steady for nearly eight years as several films joined the $1 billion club but couldn't get that extra $120 million needed to get over the hump. While it sits $7 million below Pirates of the Caribbean: On Stranger Tides in terms of pure overseas grosses, that will be surpassed in the next day or two, leaving the film as the third-biggest overseas grosser as well. All in just over a month of worldwide release. Weekend Box Office (08/07/11): Rise of the Planet of the Apes rises to the top, The Change-Up under-performs, Horrible Bosses crosses $100 million while Harry Potter and the Deathly Hallows part II is the #3 global grosser ever.. 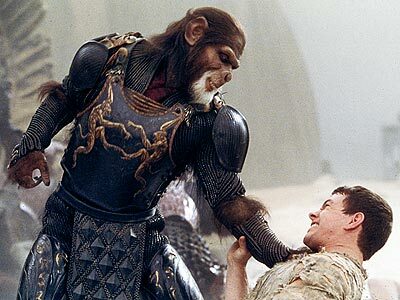 While not quite as mighty as the first series reboot ten years earlier, Rise of the Planet of the Apes had a muscular debut big enough to easily win the weekend. Scoring $54 million, the Rupert Wyatt science-fiction drama very-nearly played like an old-fashioned, adult-targeted blockbuster. It opened on Friday with $19.7 million and dropped just 1% on Saturday and ended with the weekend with a solid 2.74x weekend multiplier. The film scored an A- from Cinemascore and played 56% male. It's another solid win for Fox, as the film allegedly cost just $90 million. It's also pretty darn good, even if I'm not a fan of the last twenty minutes (if I may avoid spoilers, I think the film does itself a slight disservice by attaching itself to the Planet of the Apes franchise). Even if he'll get little credit, it's a solid win for James Franco, as it's easily his biggest debut outside of the Spider-Man franchise, nearly doubling the $23 million debut of The Pineapple Express on this weekend of 2008. And after the relative under-performance of Cowboys and Aliens (-56% this weekend, for a $15.7 million weekend and a $67 million running total for a miserable and utterly worthless mediocrity), this is an encouraging sign that you don't need to be 3D to be successful in the big-budget genre marketplace. Ironically, Fox (home of Avatar) is the first studio this year to have two 2D films opening over $50 million (after X-Men: First Class). For what it's worth, Rise of the Planet of the Apes scored the fourth-biggest 2D opening of the year, behind The Hangover part II ($87 million), Fast Five ($86 million), and X-Men: First Class ($55 million). Arguably the most surprising bit of news dropped yesterday was the admission that Steven Soderbergh would be performing duties as the second-unit director for Gary Ross's The Hunger Games. Even with the friendship that the two of them apparently share (The Playlist goes into details), it is a little unexpected for someone of Soderbergh's stature to agree to do second-unit work, on someone else's big-budget young-adult literature adaptation no less. But that news is merely a segue-way into why the series is indeed far more important than we realize to the long-term health of the industry. The film, due to be released on March 23rd of next year, is an adaptation of the first of three books detailing a futuristic wasteland where teenagers are forced to fight to the death on a reality TV show as a form of tribune to the society overlords. Yes, this is not unlike Battle Royale, which is an absolutely terrific action film/social satire from Japan that basically has the same general premise (it's based on a book and a comic book as well). Having said that, I'll give author Suzanne Collins the benefit of the doubt that she's never seen the 2000 release, as it's never been officially released in theaters or DVD in America. But the film being released in March, which will theoretically spawn two more in the next several years, is indeed a vital and important one for reasons unrelated to its premise. Back in my day, we had to wait for the first trailer to see what the new Bat-villains actually looked like! There are other unofficial photos out there that basically show the same image from a sideways angle (with Hathaway's stunt woman), but I think I'll still with the legit stuff. Anyway, today is day two of Warner Bros. tries to beat the paparazzi to the punch. The costume is obviously a hybrid of the Dwayne Cooke/Ed Brubaker outfit (the tactical aspects, the goggles) along with a bit from the 1960s Batman show (the free-flowing hair which reaches just below the shoulders ala Julie Newmar). I have no real commentary on the outfit. It looks fine and it's obvious that Nolan and company were going for something that would actually make sense in battle than something that would make a pinup poster. 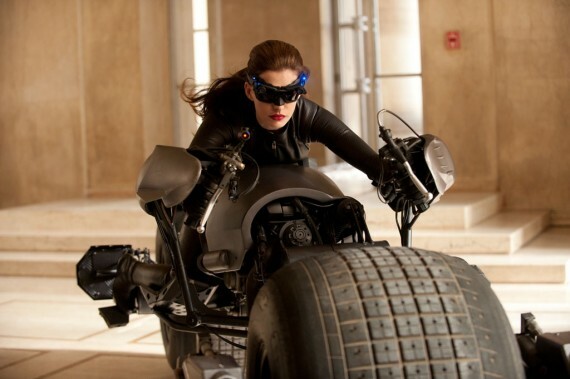 I will say that not even Anne Hathaway wrapped in tight black leather can make that Bat-Pod any less ridiculous looking. I'm sorry, I've felt this way for three years, but that is an absolutely silly looking vehicle. The fact that it was a central part of the ad campaign last time around is a near-joke. Like the main theatrical one-sheet for The Dark Knight, the center of attention in this image is not the character being highlighted but a giant wheel. Word has come down from Warner Bros. that the studio is indeed considering 'rebooting' the Green Lantern franchise after one whiff. The buzz words are 'dark and edgy', as if every comic book adaptation needs to be as grim as The Dark Knight and/or The Crow. There is in fact an easy way to keep the franchise alive without the dreaded reboot, without scrapping what's already come. See, the Green Lantern franchise is unique, and it is precicely that uniqueness that can allow it to start from scratch without actually starting from scratch. 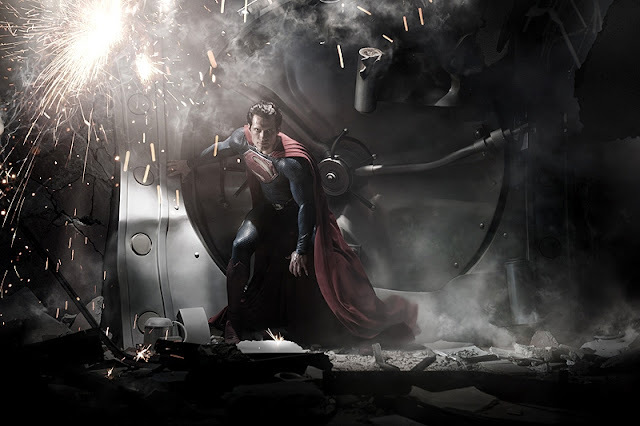 There is only one Superman, a young man from Krypton named Clark Kent. And, as far as film fans know, there is only one Spider-Man, Peter Parker (apologies to Miles Morales, who may yet do the mantle proud). 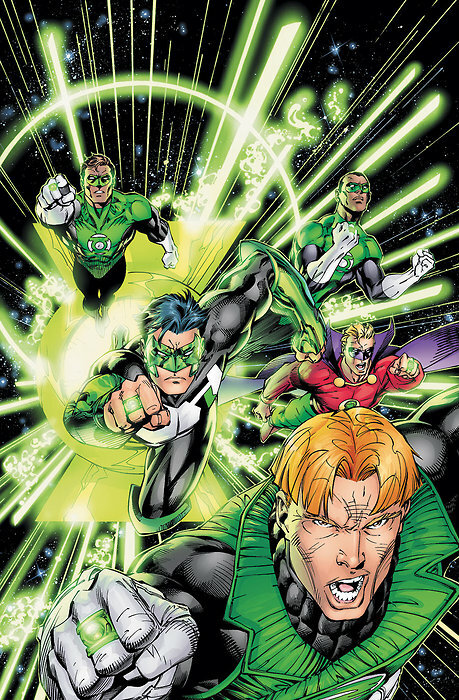 But there are about 7,200 different Green Lanterns who patrol the various quadrants of the galaxy. There is no law saying that a new Green Lantern adventure has to focus on Hal Jordan (Ryan Reynolds). By simply telling the story of a different Green Lantern, Warner and DC Comics has the freedom to tell any kind of Green Lantern tale they wish without tossing out the first film. Hypocrisy Alert! Why I love the new Looney Tunes Show (because it's great!). I know, I know... I've spent the last month making various criticisms and rants about the deluge of reboots and remakes and rebirths of old properties arguably to cash in on nostalgia, Hell, last week, I called for the box office failure of The Amazing Spider-Man, a film I haven't seen and may enjoy, purely because of my displeasure in how it was created. So, call me a hypocrite, but I must speak the truth. Cartoon Network has just finished their first 13-episode run of the new Looney Tunes show. 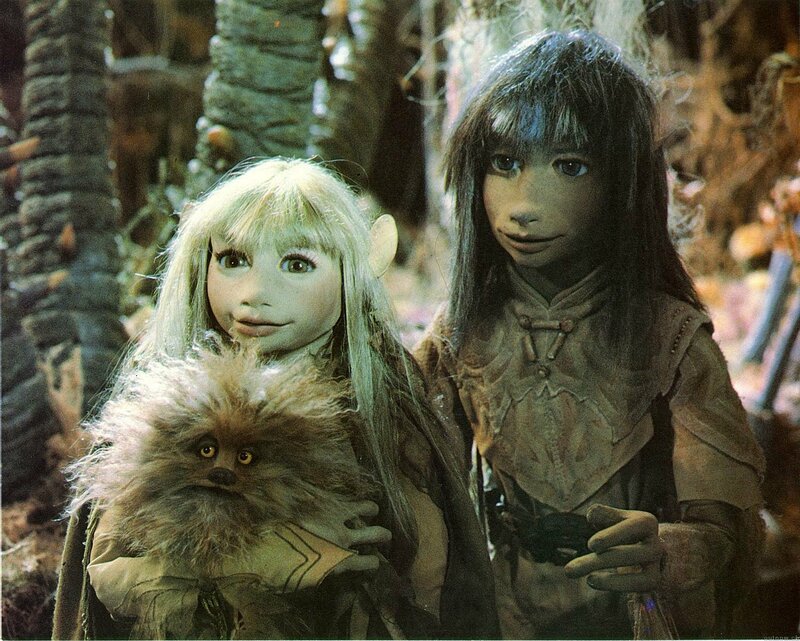 It is indeed a reboot of sorts, an attempt by Warner Bros. to reintroduce the classic characters to younger audiences and keep the brand alive. It is arguably a clear-as-day example of just the kind of brand recycling that I often complain about, a naked attempt to get our kids hooked on the properties of yesteryear instead of giving them icons of their own. And yet, by god, I absolutely love it. As a standalone television show, it is an unmitigated triumph on every plausible level. How 2001 was a film game-changer III: Tim Burton's Planet of the Apes 'reimagining' invents the modern reboot. The problem isn't that the new Ultimate Spider-Man is Black/Hispanic. The problem is that Peter Parker had to die to make it happen. The Ultimate line, from the beginning around ten years ago, was a way for writers and creators to take the classic Marvel characters and retell their stories in a way that was unchained from the decades of continuity and was arguably more realistic and level-headed. From The Ultimates that presented our dear Avengers as a bunch of dysfunctional nutcases to an X-Men mythology that introduced Wolverine as Magneto's assassin, the alternate universe was a chance to try something different without disregarding the narratives and continuity that had been built up since 1962. 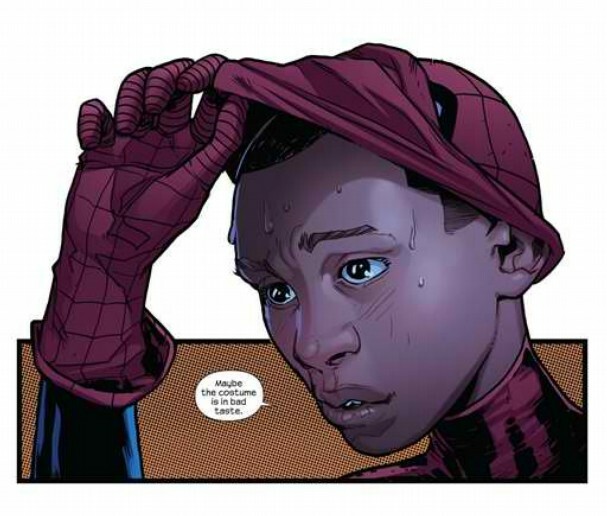 So it comes as no surprise that the Ultimate line would offer a replacement Spider-Man, one who is in fact a mixed-race teen rather than the traditional lily-white nerd from Brooklyn. Of course, the official announcement today has set off the various criticisms, some of it rooted in racism, some of it merely rooted in the general fanboy whining whenever something is done differently than it was before (see - Sam Raimi's organic web shooters, the casting of Michael Keaton as Batman, etc). Overall, a racial minority, mixed-race no-less, taking over the cowl of Spider-Man in what is as much a mainstream Spider-Man comic book as the traditional 616 universe is an obvious sign of progress and should be taken as such. My problem isn't with Miles Morales becoming the new Spider-Man. No, my problem is that Peter Parker had to die for it to happen. Stupid, Crazy Love is a wolf in sheep's clothing. Despite its pedigreed cast and the directing team of Dan Fogelman and John Requa (the very good I Love You Phillip Morris), Stupid, Crazy Love is written and performed like a sub-par sitcom. Despite its promise of adult comedy and genuine insight into love, family, and relationships, it comes off as a shockingly moronic and simplistic fable penned by people who apparently have no experience with real relationships. Every moment of genuine pathos and earned drama is followed or undercut by a ghastly contrivance. It treats women solely as conquests, either as casual one-off hook-ups or as prizes to be won. In terms of teaching its audience how how to deal with the people in our lives, it is far more insidious than the Twilight films, since the supernatural romance is hardly subtle about its disconcerting undertones. Like the loathsome Enchanted, Crazy, Stupid Love hides its regressive and boneheaded notions of love and romance under a guise of progressive maturity and thoughtfulness. 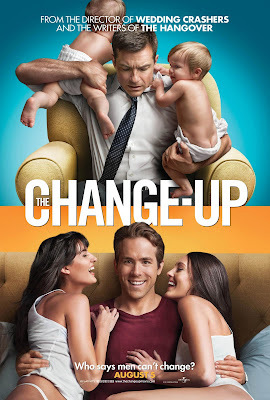 I do not yet know whether it is the worst film of 2011. But it surely contains more awful moments than any film I've seen this year. Why doesn't Harrison Ford do more comedies? Or at least why hasn't Harrison Ford hosted Saturday Night Live?